History records that competing forces tore the Western Roman Empire apart. Among these was the group called the Vandals, Slavic and Germanic tribes. They, along with many others, embraced the Arian heresy. But their Arianism did not weaken the Empire; their military campaigns of conquest did. 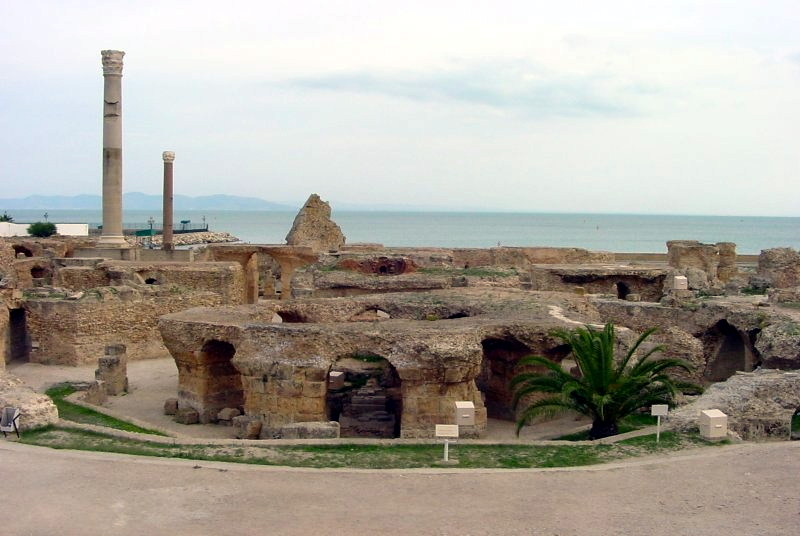 They had conquered Spain by 439, when they took the city of Carthage, in northern Africa. They exiled the bishop, Quodvultdeus, and most of his clergymen. There was no bishop in the city for fourteen years. Gaiseric, the Vandal leader, sacked Rome in 457. He returned to northern Africa with many enslaved captives, including family members, whom he sold apart from each other. Bishop Deogratias, full of compassion, sold much of the material wealth of his diocese to raise funds to ransom as many of these slaves as possible and to distribute food daily. He also converted two large Carthaginian churches into shelters for these unfortunate people. Members of the Arian faction, resentful of Deogratias, tried and failed to assassinate him. He did die soon, however, apparently of exhaustion. The Vandals did not permit the appointment of another bishop for twenty-three years. Today “vandal” has passed into language as a negative term and the humanitarian legacy of St. Deogratias survives. Compassionate God, we thank you for the heroic and humanitarian legacy of your servant, St. Deogratias, Bishop of Carthage. Inspired by his example, may we, as opportunities present themselves and we are able to help, assist those in dire circumstances, such as captivity. May we see Jesus in them, and may we show Christ to them. Amen. THE FEAST OF JESSIE BARNETT, SOCIAL ACTIVIST IN ATHENS, GEORGIA, U.S.A.
My Great Man of all time..St.Deogratias the Bishop of Carthage 454-457. I am gratified that you like the post.